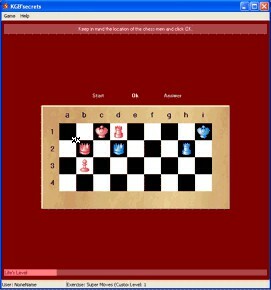 KGB'secrets (MUCE) 1.5 free download. KGB'secrets Advanced Personal Edition. KGB'secrets Advanced Personal Edition. Self-development software KGB'secrets is based upon some of secret technologies. It will help you to develop your visual processing speed, general attention, visual memory, logics multiple objects tracking, short term (working) memory, thus it will increase your brain capacity and much more. You can learn the basic spy habits for some days, you just have to do five simple exercises (Statics, Transpositions, Flashes, Moves, Super Moves). Best Reader, the speed reading software for mastering speed reading in two weeks.